In the Soviet era, the Writers’ House in Harju street was a place which radiated literature. As the name signals, the house was inhabited by writers. Besides them, the building accommodated Café Pegasus, where writers loved to pass time, and the popular bookshop Lugemisvara. The shop was frequented by the literati, who came to check out new releases, catch up with each other and discuss worldly issues, as well as by other townspeople just shopping for books. All that gave the house a special aura, which was probably sensed by most Estonians walking down Harju street back then. Sadly, that aura has mostly vanished by now just as it has vanished from a few other places in Tallinn which once contained a unique cultural milieu. 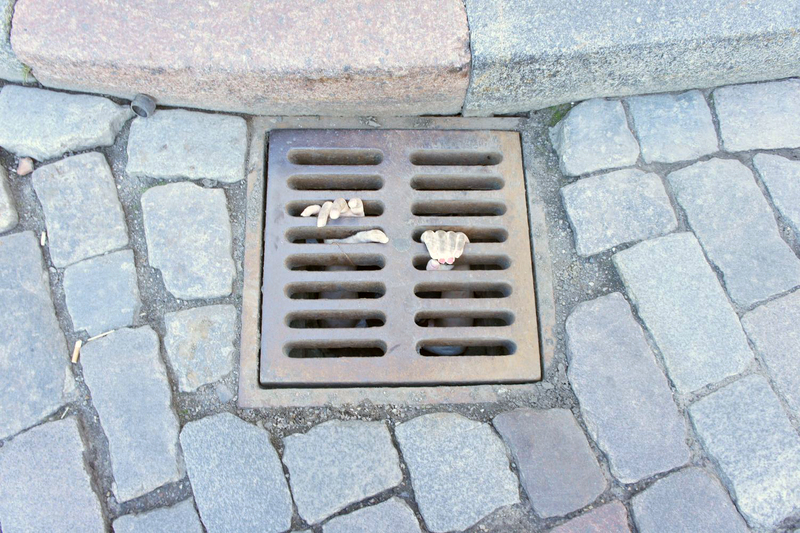 The installation by Raul Keller in a storm drain in front of the former Café Pegasus, consisting of sounds and a realistic imitation of human hands — being also an allusion to the poem called Tütarlaps kloaagis (‘Girl in the Sewer’) written by Juhan Viiding under the name of Jüri Üdi, an erstwhile inhabitant of the Writers’ House — symbolised and commemorated such places of lost aura and perhaps also inspired some recreation of their milieu or the preservation of what is still there. 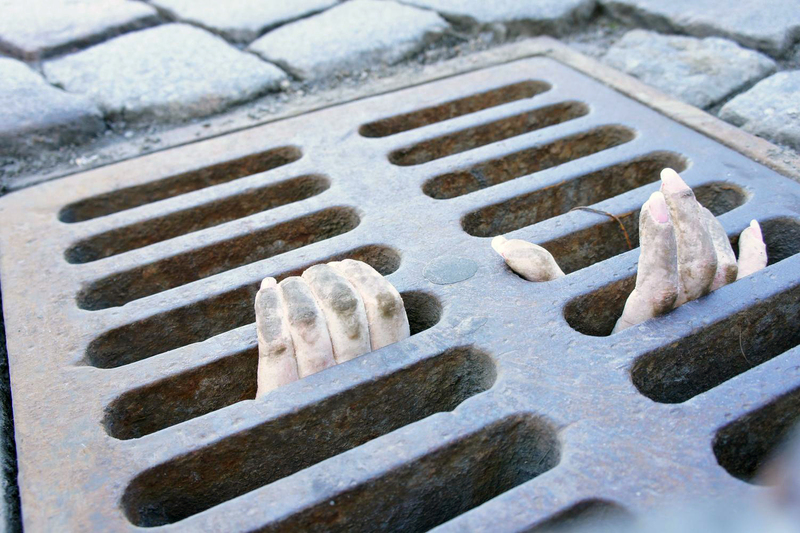 Raul Keller is a freelance artist. 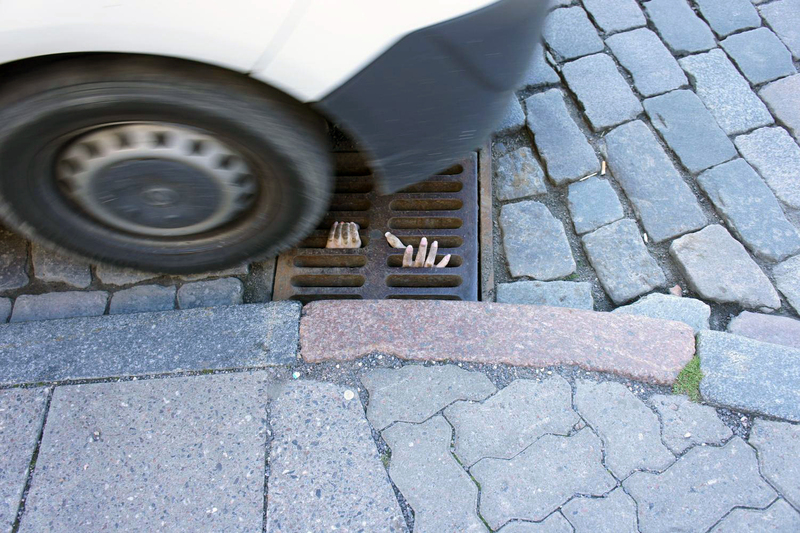 He completed his MA studies in Interactive Multimedia in the Estonian Academy of Arts in 2002. Starting from 2000, Raul Keller has performed and participated in projects in the Netherlands, France, Germany, UK, Poland, Finland, Russia and the Baltic States. His last works are site-specific and focus on sound as social and performative practice, improvisation, language, time processes, DIY aesthetics and radio art. Has engaged in ‘socio-sonics’ in project Unison since 2000. He also performs as an alter ego called Paul Cole. He is the curator of the radio art festival Radiaator (Radiator) and the founding member of art radio LokaalRaadio (LocalRadio) as well as the Muusika ja Kunsti Dümaaniline Koondis (Dynamic Association of Music and Art) that supports and develops the local experimenting and independent culture.